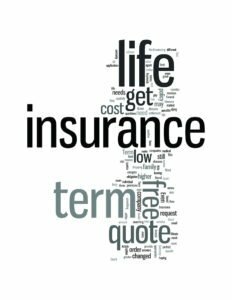 How Long Should Your Term Life Insurance Policy Be? Term life insurance won’t last forever, so how long should it last? With term life insurance coverage ranging from 1 to 40 years, choosing the right amount of insurance can seem like picking a needle in a haystack. Or better yet, a hay in a needle stack. The best term length depends on one thing, and one thing alone: your needs. There is no one-size-fits-all proposition. However, there are ways to narrow your choices to pick the policy that’s best for you and your family. Financial commitments include things like your mortgage, college expenses for your kids, funeral expenses, and other big-ticket items that you will pay in the future. You want to add up your debts, income, mortgage, and education to have the best rough estimate of how much you’ll need and for how long. You should have enough to at least see your children graduate college. The longer a term life insurance is the greater the premiums will be. If you know you’re going to need more than a decade of term life insurance, but know you won’t be able to afford the coverage, you can buy a short policy and hope you qualify for life insurance later. If the cost of term life insruance is still too high, you should consider going with Pierce Insurance Group. We can deliver the best and most competitive prices that will fit your needs and goals. Thinking about one’s own mortality is already stressful enough, life insurance shouldn’t have to add to that stress. You don’t have to figure out how much life insurance to buy on your own. Contact Pierce Insurance Group in McKinney, Texas to get guidance to the right policy!